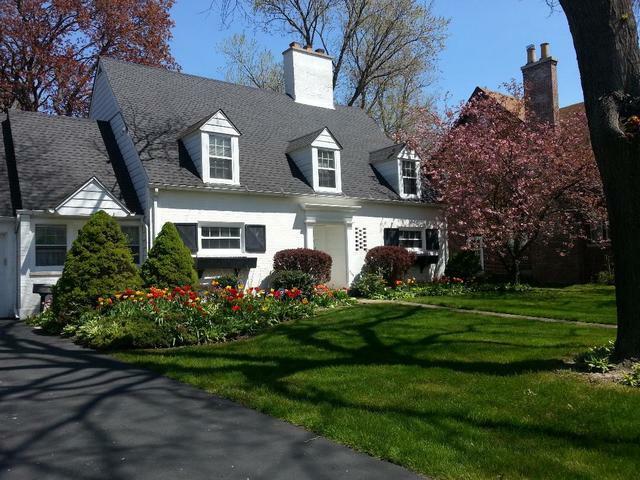 Here is your opportunity to own a charming 1940's brick cape cod on one of Waukegan's most scenic & beautiful streets! Excellent curb appeal, solid home, good floor plan! 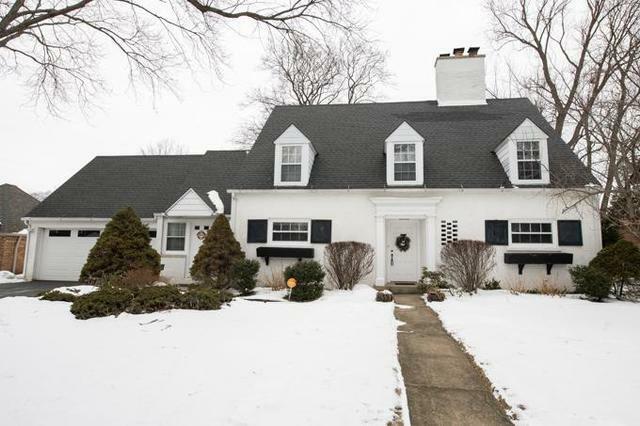 Tiled foyer leads to bright sunny living rm w/fireplace, bay window, built-in shelves - spacious! Formal dining rm also w/bay window, vintage built-in corner hutches, great for Holiday dinners! Kitchen boasts quartz counters, breakfast bar/island, loads of cabinets many w/pull out shelves, & opens to SUPER SHARP vaulted breakfast rm/family rm (versatile!). Sliders to lg deck, beautiful perennial gardens-many flowers here! (Seller loves his garden - don't miss the greenhouse, xtra garage (workshop), arbor, brick patio!) Main flr also has cozy ofc/den. 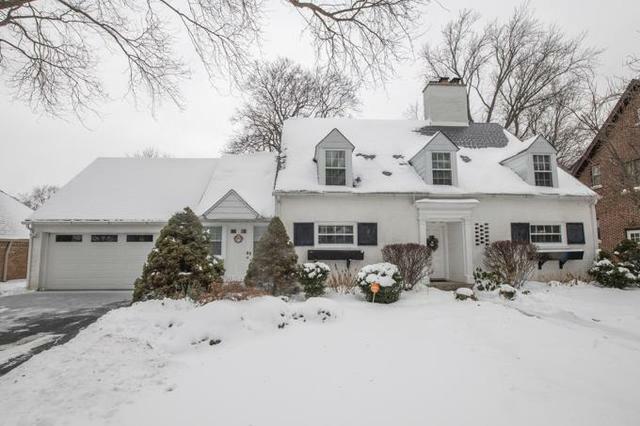 Master BR w/hardwood flrs, private bath, abundant closets. 2nd BR VERY spacious, hardwood under carpets & in BR 3. 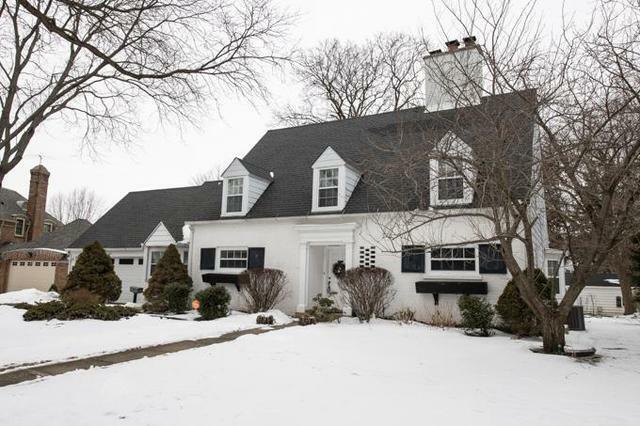 Basement has newer berber carpet, lg rec room w/2nd fireplace, convenient 1/2 bath, craft room/den. Plaster walls, 6-panel doors, loads of storage. Nice-See!